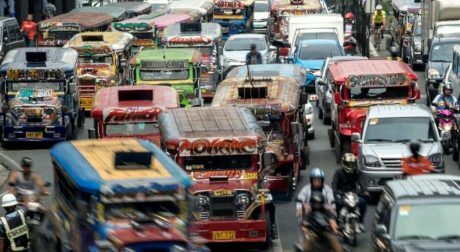 As usual, the whole “debate” around the plight of the hundreds of thousands of jeepney drivers and the “threat” to their “livelihood” presented by the prospect of modernising public transport in the Philippine has taken a wrong turn. Highlighted by the usual “socially-aware” cliques of “activists” is the wellbeing of what is, essentially, a relatively smalll community of social parasites. Indeed, jeepney drivers are a parasitical class of workers. They lay waste to the streets of the Philippines’ major cities and spew corrosive fumes into their atmospheres. They don’t pay taxes like their squatter kin in these cities’ slums yet degrade precious infrastructure as they ply their parasitical “trade”. Jeepneys are pitched to the public as some kind of “essential” public service and, as such, their drivers are supposedly entitled to be protected from people who seek to deprive them of their “livelihood”. But what they really are, in essence, is a monopolistic industrial bloc that shoves its mediocre (and, often, dangerous) “service” down Filipinos’ throats with impunity much the same way that the Philippines’ oligarch-controlled telco providers hold Filipinos hostage to appallingly primitive Internet service. Worse, the jeepney community like the squatter community (who are, in essence, property thieves) are politicians’ vote farms. They are vast breeding grounds for non-thinking voters. This explains why jeepney drivers are virtually untouchable. They are part of a deadly trinity of untouchable Filipino social cancers: (1) drug trafficking, which is controlled by drug lords coddled by crooked politicians and prison officials, (2) squatting, wich are coddled by crooked and vote-hungry local government officials, and (3) jeepneys, which are coddled by crooked transport officials and commies who seek to overthrow the Philippine government in a bloody “revolution”. Progress begins with imagining a jeepney-free Philippines. 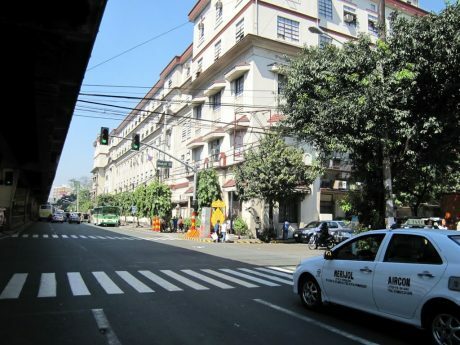 While lots of poetry had been waxed by dimwitted “activists” about the plight of squatters, jeepney drivers, and, of late, drug traffickers (and the “awful” violation of their “human rights”), nobody champions the plight of the millions of hapless law-abiding tax-paying Filipinos who are quietly earning their keep, contributing to nation-building, and putting up with the institutionalised mediocrity of their public services. This is what true populist tyranny is. It is not one where a “tyrant” of classic 1980s yore terrorises and oppresses the public using state forces. Rather it is a tyranny of the so-called impoverished that emotionally blackmail the Catholicism-addled minds of the people of an emotionally-disturbed society. When we begin to imagine a jeepney-free Philippines, we begin to free ourselves of the tired, old, victim narrative that has kept our society imprisoned by people who venerate mediocrity, lazy thinking, and the advocacies of the ill-informed. To be jeepney-free is to embrace systemic solutions that require modern discipline and scientific reasoning to implement and sustain. Jeepneys represent the sad industrial culmination of Filipinos’ renowned bahala na (“come what may”) and pwede na yan (“that’ll do for now”) mentality. They are a temporary solution made permanent and allowed to imprison generations of Filipinos in abject misery. It did not spawn a modern automotive industry, hindered the development of a systematic schedule-driven mass transit system, stunted the entrepeneurial imaginations of legions of returning OFWs, and turned Manila into an urban hellhole. The time has come to put an end to the King of the Road’s reign of terror. As with most truly revolutionary proposals, it starts with imagining what it is like to be free — free of the single-biggest social cancer that has kept Filipinos in the Dark Ages for more than half a century. I am also , in favor of the phasing out of the Jeepneys on our urban roads. A gradual phasing out would be good. Metro Rails, like the “Travia Rail System”, was a good transportation system, in our country, before World War II. There is no other way of moving a large population of people, than the Rail System. Japan has a lot of Rail systems. It has even its Bullet Trains. Those Jeepney Drivers, must learn other trade, than driving Jeepneys. We must not be held “Hostages” by this dilapidated and obsolete transport system. By having lower fares or cost of transport system. We can phase out the Jeepney. 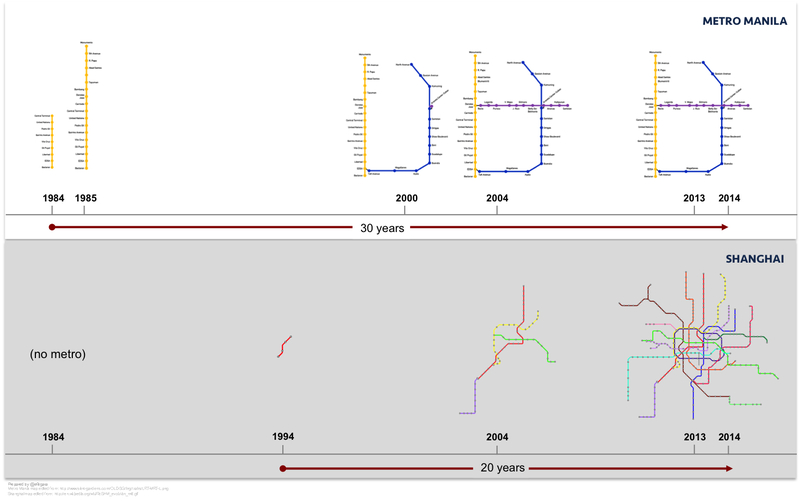 Transport system in the form of Rail system, more buses and others. Can really phase out this Jeepney transport system. We have to think other transport system, that can be cheaper than this Jeepney transport system ! Not to mention barker-free, middleman-free and all those other useless jobs. Stuff that would be absent from a really thriving society. And again, may I reiterate jeepneys being copies of the American wartime Jeep, symbolizing our desire to depend on other countries. I can’t wait for both jeepneys and tricycles to be completely phased out of existence, (unless of course they are redesigned to use renewable energy, emit no smog, include safety features, etc.). They have been annoying me since I first noticed how much much smog they emit, the absence of compliance to basic road vehicle requirements such as headlights, brake lights and turn signal lights, and most of all the mind-boggling ignorance of traffic and driving rules/etiquette. It’s clear that LTO is nothing but a token organization, else how could these drivers obtain licences and their vehicles pass any kind of inspection. On another note, what would all these jeepney drivers do for a living once jeepneys are taken off roads? On long shifts, drivers are known to take such drugs in order to keep awake, though at a cost. Buses going over cliffs have been blamed on this. These jeepney drivers will be better off just operating trains. The good thing about trains is that they one-dimensional, restricting movement along a straight line. This should be about the only thing these drivers should be allowed to operate. Regular motorists can then be spared of their constant chaotic crossing of lanes and pulling over. A RAIL SYSTEM on LUZON COULD BE A SOLUTION. Modernization of a BUS SERVICE with safe vehicles would greatly benefit the country. The designing and manufacturing of a NEW ELECTRIC VEHICLE could be made in the country and utilized to help eliminate poverty single-handedly by the creation of JOBS JOBS JOBS that pay 1ST World salaries. THE COUNTRY NEEDS TO MOVE FORWARD AND COULD BE LIKE JAPAN and SINGAPORE if FLIP’s could just get out of their own way and get off their asses and THINK as a group for a change.An Industry is waiting to be born, and it could be born in the Philippines: A FIRST OF ITS KIND ELECTRIC BUS/CAB for The MASSA to get around the Archipelago in.